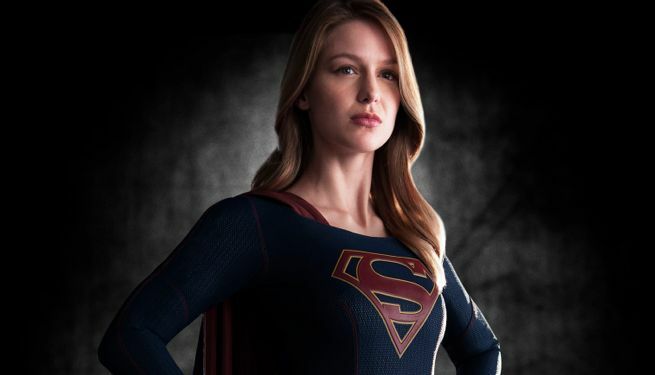 CBS has released two new promotional photos and an official synopsis for Supergirl, the DC Comics adaptation starring Melissa Benoist as Superman's cousin alongside Golden Globe winner Calista Flockhart as Cat Grant and Mehcad Brooks as Jimmy Olsen. The photos released feature each of those three actors in their roles, including our first look at Benoist in the role of Kara Danvers, rather than her Supergirl costume. The series will debut in November and air on Mondays at 8 p.m., potentially squaring off with Gotham unless FOX's Monday schedule changes. You can check the images and synopsis out below.